The lethal techno virus Extremis is out in the wild and for grabs to the highest bidder! It’s up to Tony Stark to contain it and that means creating a new suit of armor! When his greatest invention becomes his greatest mistake, Iron Man must act fast . . . and build faster! Check out some preview pages for the comic after the break. Look for Iron Man #1 to hit stores (and your digital devices) in November. Concept art is one of the great hidden arts.Next time you find yourself in a book store, do yourself a favor and browse the film second and thumb through some of the ‘Art Of…’ books. They are often filled with gorgeous imaginings that serve as some of the earliest inspiration for how the final film will look. So getting a chance to gaze at some concept art for one of next summer’s biggest films, Iron Man 3, is a really cool treat. It allows us to see an internal perspective on the film, before we have been tainted by the final product. The official Facebook page for Iron Man has debut this art in the form of what looks to be an exclusive comic-con poster. That deduction stems from the large and in all caps ‘EXCLUSIVE’ next to a Comic-Con logo, Batman has nothing on our detective skills. 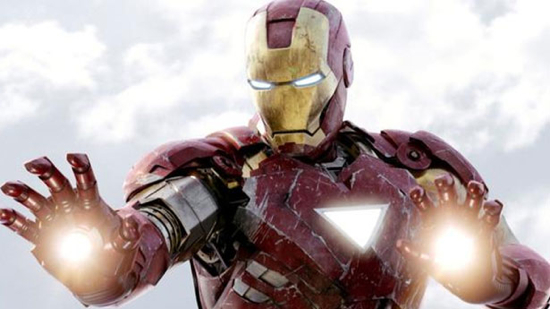 Iron Man 3 is filming now, but is expected to have a big presence at Comic-Con this year. Disney will want to showcase something from ‘Phase 2’ at the show in the wake of the tremendous success of The Avengers in May. So keep your eyes peeled to The Flickcast in the coming weeks for all your Marvel-Movieverse news bits from the show. You can check out the full version of the concept art after the jump. Iron Man 3 will be the first Marvel Studios movie post-The Avengers, so expectations will be higher than ever for a Marvel movie. People have never been more excited about the Marvel Brand and with Marvel Studios blazing a new trail in franchise film-making, every new film is an exciting prospect. Early word on Iron Man 3 is that Shane Black is pulling back on the shared universe concept and making sure his movie focuses primarily on Iron Man, and not a bigger picture. A dangerous, but ultimately smart choice intended on strengthening the character and his own franchise, much like solo series do in the comic world. With that internal focus it is appropriate that the first official image from the film is very specific and very iconic to the Iron man franchise, the suits. Tony Stark looking over his seven previous suits, showing just how far he has come since that clunky Mark 1. We might be reading too much into this, but with the film leaning heavy on the Exremis story line, there is a nice symmetry to this being the first official Iron Man image. Depending on how closely they follow Warren Ellis’ story the 8th suit will be an interesting conceptual departure from what we have seen thus far. Take a look at the at the full size image after the jump. If there’s one particular Marvel comics series I’ve been enjoying for the last many months it’s Secret Avengers. The story and characters really seem to resonate with me and I really like where the series is going. As pleased as I am with the series I was even more intrigued to learn that one of my favorite writers, Warren Ellis, was taking over the scripting duties on it. That work has now arrived with Secret Avengers #16 and, not surprisingly, it was hugely successful. In fact, it sold out and is going back for a second printing. That second printing hits store shelves on September 28th. But wait, there’s more. To get you interested in this great arc, we’ve got a preview for Ellis’ next issue for you today. In this one, Ellis is joined by artist Kev Walker and sends Steve Rogers and his team to Eastern Europe to stop a global bio-threat. Can’t wait to check that one out. Sounds awesome. Check out the preview for Secret Avengers #17 after the break. Look for it in comic store on September 28th too. UPDATE: Due to a request from Paramount, we have taken down the video. Sorry folks but they don’t want you to see it. We may be a few weeks away from the God of Thunder’s release with Thor here in the US, but folks overseas are basking in the glory of Marvel’s newest film as we speak. One diehard fan in particular even got some footage of the illustrious post-credit sequence that Marvel loves to slap onto the end of their films. We give HEAVY WARNING here: if you don’t want to see what happens in this sequence, then we suggest not clicking through, as it gives clues that lead us up to Marvel’s upcoming films Captain America: The First Avenger and The Avengers. Those who are a fan of Marvel lore know that this isn’t much of a spoiler, per se, as it is some of the greatest story elements told in comics shown in live action. So, without further adieu, click through the jump to see the special “Easter Egg” from after the credits in Marvel Studios’ Thor. We loved it, but let us know what you think in the comments below!